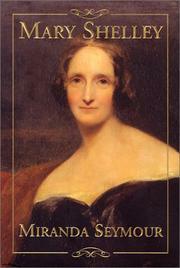 A new biography of the author of Frankenstein that aims to comprehend her character rather than assess or advance her literary standing. The first part of the story is well-known. In 1814, 16-year-old Mary Wollstonecraft Godwin, daughter of two brilliant and celebrated liberal thinkers, eloped with her father’s married disciple, Percy Shelley. Two years later, Mary’s masterpiece was conceived on a stormy night at Byron’s house in Switzerland. After eight itinerant years in Percy’s entourage, which included her stepsister, Claire Clairmont, she returned to England with her one surviving child, widowed, penniless, and, despite first-class literary connections that she retained throughout her life, a social pariah. Determined to exhalt Percy’s literary reputation but forbidden by her intransigent father-in-law from using his name in print, she wrangled with publishers and biographers behind the scenes, writing what she could to support her family. She died in 1851, almost 30 years after her husband. In able if somewhat repetitive prose, novelist and biographer Seymour (Robert Graves, 1995, etc.) considers the personality of a woman who, having defied convention in youth, courted respectability for the rest of her life. Though won over by the poet's passions for sexual freedom and social justice, Mary was never a Shelleyan radical; she married Percy as soon as she could and always resented Claire’s presence in their ménage. Most biographers have considered how the events in Mary’s life fed the chronic sense of abandonment that Frankenstein’s Creature so magnificently expresses. Seymour prefers to emphasize Mary’s obsessive temperament and her guilt over the suicide of Percy’s first wife and over her own withdrawal from the poet before he died. Defending Mary’s later narrowness, Seymour points out the unhappiness of a life burdened throughout by financial distress and the distortions of celebrity. Aside from her political ideas and activities, which Seymour carefully tracks, Mary’s other intellectual interests are rather neglected. They are better addressed by Muriel Spark’s 40-year-old study and by more recent criticism, to which this work serves as a worthy complement. An evocative, empathetic treatment of what was, in all senses of the word, a difficult life.